Prime Minister Vladimir Putin has sought to ease fears over a so-called ‘gas Opec’, saying the proposed union of natural gas producers poses no threat to consumers. Speaking after a meeting with his Egyptian counterpart Ahmed Nazif on Tuesday, Putin said the proposed organisation would not be a price-fixing cartel. Russia’s is pushing for such a union. Putin said it would be an international forum to exchange information and coordinate activities, not to issue compulsory regulations. 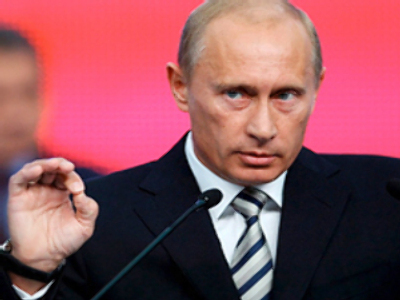 “No one of us is going to compromise part of his sovereignty in decision making,” Putin said. The Russian Prime Minister said gas producers have every right to ensure a reliable supply of energy at a reasonable market price. Consumers act in a similar fashion, he added. Prime Minister Nazif backed Putin, saying the creation of a gas opec would be proper and that “nobody can take it as a threat to consumer countries”. The issue will be further discussed at the 7th Forum of gas-producing nations in Moscow.